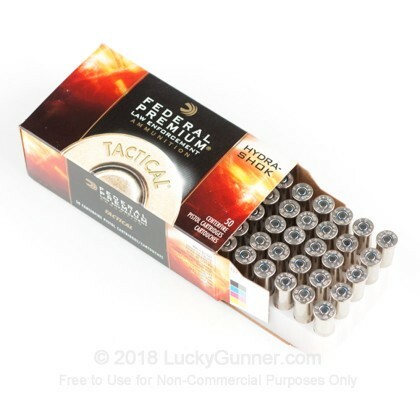 Looking for 38 Special Defense ammo? 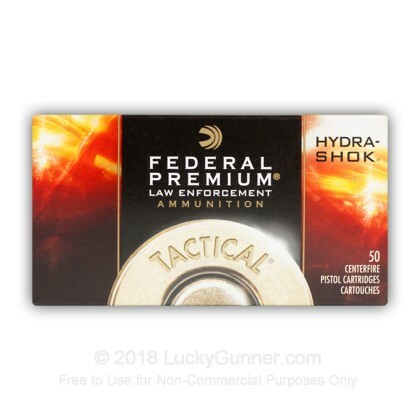 Federal's Hydra-Shok JHP ammo is an excellent ammunition trusted by law enforcement agencies and carry-permit holders alike. 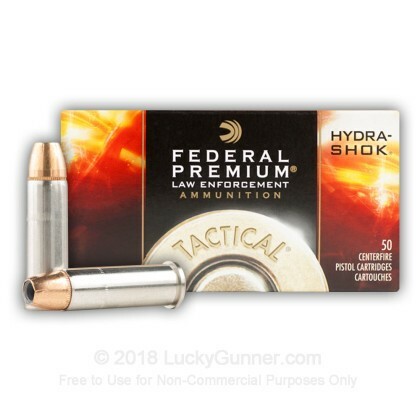 This round features Federal's Hydra-Shok jacketed hollow points which utilize a unique center-post design that delivers controlled expansion. 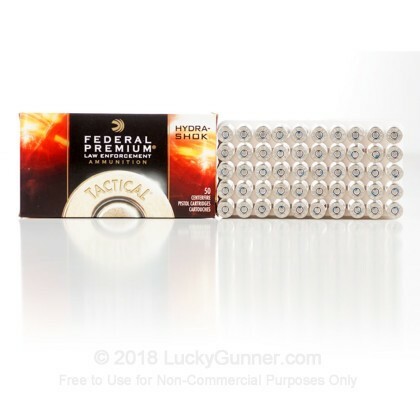 The notched jacket provides efficient energy transfer to penetrate barriers while retaining stopping power. 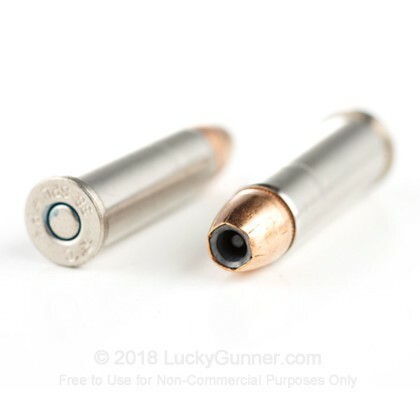 The deep penetration of this jacketed bullet satisfies even the FBI's stringent testing requirements making this an ideal round for self-defense! 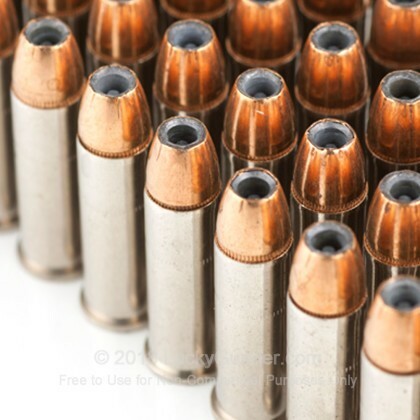 This product is brand new, brass-cased, boxer-primed, non-corrosive, and reloadable. 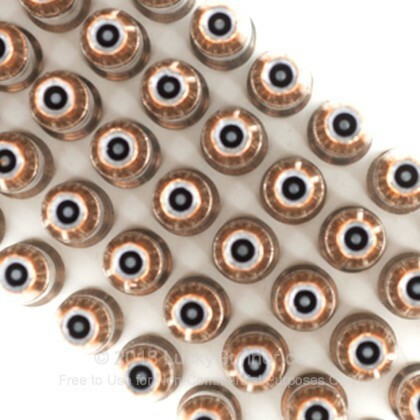 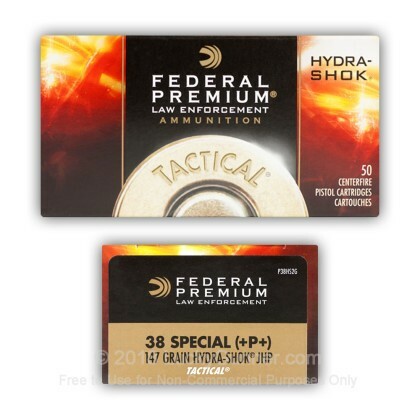 We don't have any reviews yet for this particular .38 Special ammo from Federal. 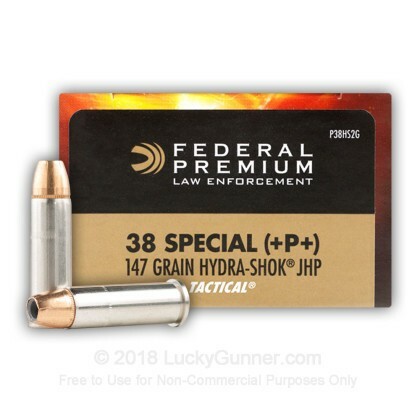 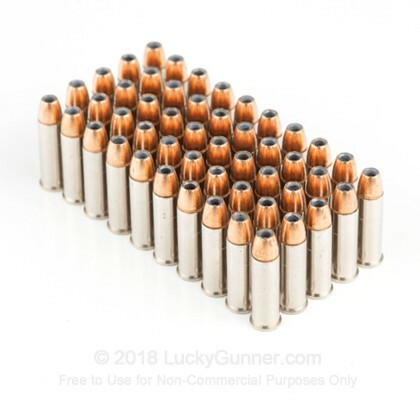 If you'd like to be the first to review this particular .38 Special ammo from Federal, fill out the form below.